In a blog mostly about work and workplaces, perhaps this question seems misplaced. But especially if work is demanding, stressful, or difficult, a hobby can be a healthy lifeline. Even if you’re fortunate to be in a great job, a hobby can add a richly rewarding activity to your life. And what better day and time to talk about hobbies than on a Saturday morning? The best part about a hobby is that it’s all about your own interests and passions. There’s nothing obligatory about it, you can start or stop at any time, and you can define it on your own terms. At times, money and resources may come into play. If you want to learn how to play an instrument, for example, you’ll probably need some start-up cash. But there are plenty of other hobbies that don’t require a large initial outlay. When I was growing up, I was a collector. Stamps, coins, baseball cards, you name it. (Yes, the seeds of my, shall we say, archival mentality are planted deep.) 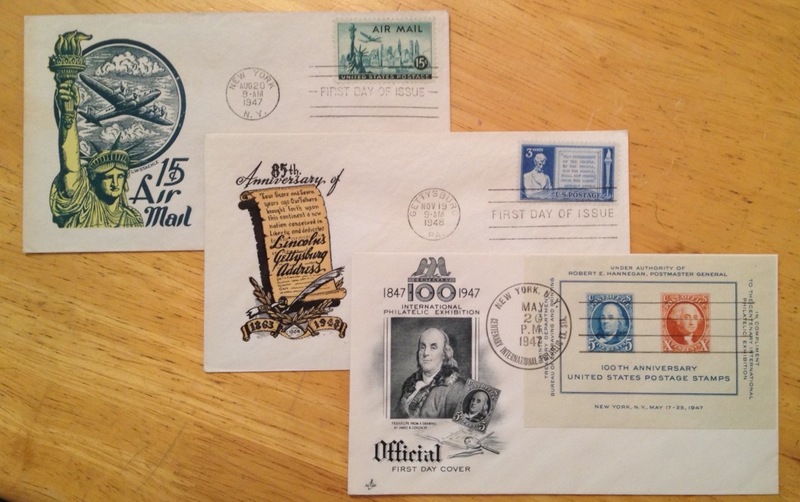 As you can see from the photo at the top, I remain on the lookout for interesting postal souvenirs. Today, I’m an avid reader, a sports fan, and a devotee of bad weather. But my main hobby is singing. For many years, I’ve taken a weekly singing workshop at a local adult education center, and more recently I’ve joined friends from that class for open mic cabaret nights, where we perform our favorite numbers in front of small groups of fellow music lovers. I’m a big fan of the Great American Songbook — the stuff of the Gershwins, Cole Porter, Sinatra, and Rodgers & Hammerstein. Musically speaking, at least, I was born 50 years too late! By endorsing hobbies as a meaningful pastime, I’m not suggesting that they are must-have activities in one’s life. A hobby, by its very essence, is not a required course! Rather, it’s something we embrace for the enjoyment it provides us. What if you don’t have a hobby and would like to develop one? Asking yourself what interests you is the best place to start. If you need some ideas, you could look at lists of hobbies, such as this one compiled on Wikipedia. Give it some thought, and enjoy. Hobbies can carry you through a bad work place. With a hobby you can stop the rumination. My hobby is transporting me to DC, Pittsburg, and Denver over the next five weeks. After that, grow my business side of Total Worker Health. I love to read fiction, esp fantasy. That always transports me away from scary thoughts. And here is an unusual hobby in this day and age, I like to sew by hand. My mother taught me when I was four, by having me make pockets for my clothes. Somehow those pockets never were attached to my clothes. Listening to music has the ability to change my mood and thoughts; I have acquired a prodigious library of music. I generally enjoy the music best by pretending I am the artist making the music. When I worked in human services, a hobby that produced a tangible result (that I could claim as my own) was a good way to confirm that I could accomplish things! Needlework of any description (knitting, crochet, cross-stitch,needlepoint, quilting), canning, gardening, soapmaking, furniture refinishing…all efforts that I could enjoy at leisure and share with pleasure. Would that we could sing together because I’m a singer too. Also, I love your taste in music! 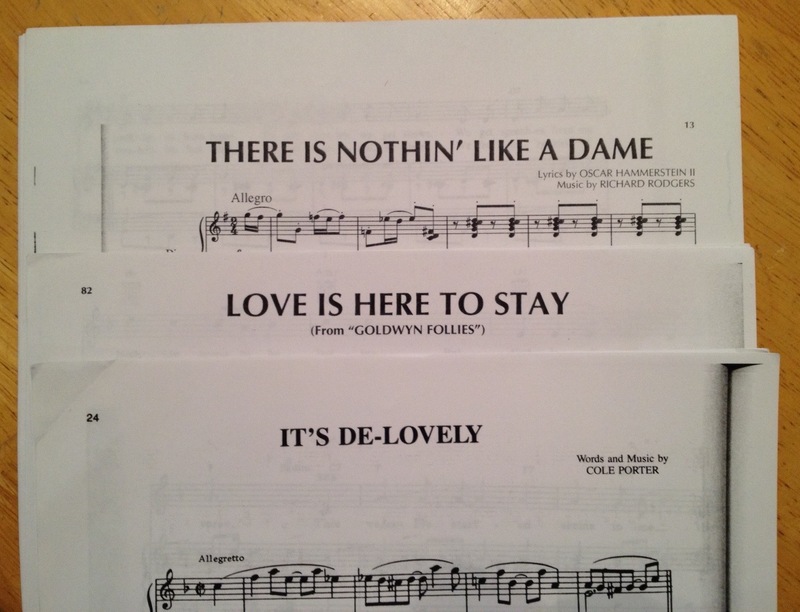 My parents raised us on musicals!